There are two types of ranges that may be used for MK 19 live-fire practice and qualification. Regardless of which range is used, the MK 19 can be fired from either a tripod or a vehicle. a. Multipurpose Gunnery Range for the 40-mm Grenade Machine Gun (Figures 4-25 and 4-26). This range is designed for the conduct of individual firing exercises and qualifications against hull type targets. Details about this range can be found in TC 25-8. 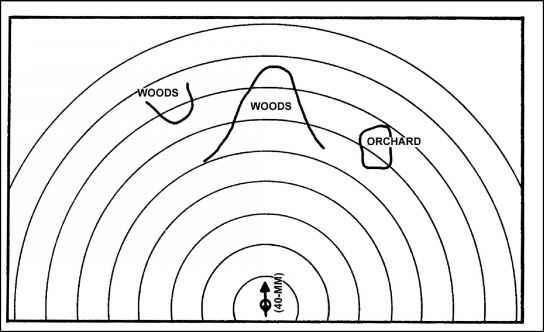 Figure 4-25. Multipurpose gunnery range for the 40-mm grenade machine gun. Figure 4-26. 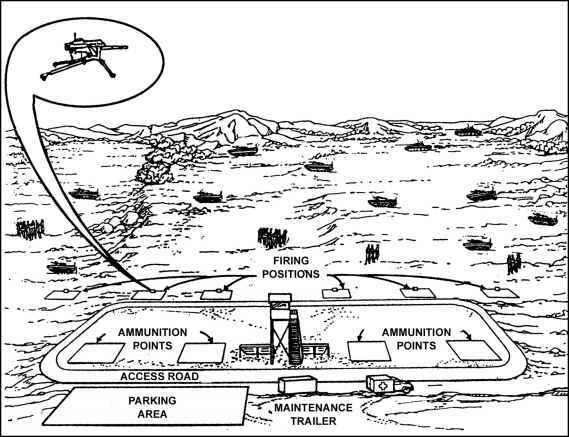 Multipurpose gunnery range for the 40-mm grenade machine gun (continued). b. Multipurpose Machine Gun Range. 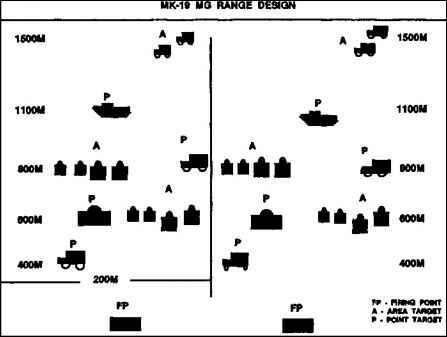 The MPMG is the range suggested for MK 19 live-fire training. It is used to train mechanized, motorized, combat support, and combat service support units. The design and traits of this type of range are described in TC 25-8. Only a non dud-producing practice round is used on this range.